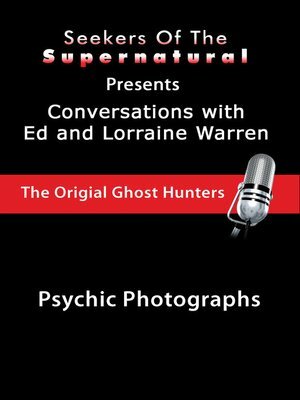 Ed Warren and Lorraine Warren discuss what is referred to as "psychic photos." These are actual photographs or film taken of the supernatural. Many of the Warren's cases have been heavily documented as they are both very serious about finding genuine evidence to back-up any claims of a haunting. The Warrens have taken both video and photos of many of their more interesting cases and share them with Tony as they discuss the significance of this type of evidence. The Warren's believe it is extremely important to be skeptical about each case until they gather actual proof. This is what they love so much about cameras: they are an impartial witness to what is going on around each of these haunted locations. They have no agenda, no reason to lie, and they fill even the most devout cynic with doubt about the existence of the supernatural. Ed managed to take video of a famous ghost, the White Lady, near his home in Connecticut. He waited outside the cemetery she is known to haunt for six nights until she finally appeared. Though he could see the ghost in this particular situation, the camera often picks up images that are not visible to the human eye as the ghost itself imprints the image onto the film. The Warrens go on to discuss many of their more documented and interesting cases emphasizing that the spirits are attracted to those who are more sensitive to the paranormal: "like attracts like." They also give advice to anyone who would like to try their hand at taking psychic photos: make sure not to trespass (nothing illegal), go on a clear night (no rain or fog), and be patient. No special cameras or equipment is necessary, just an open mind and a good flash.